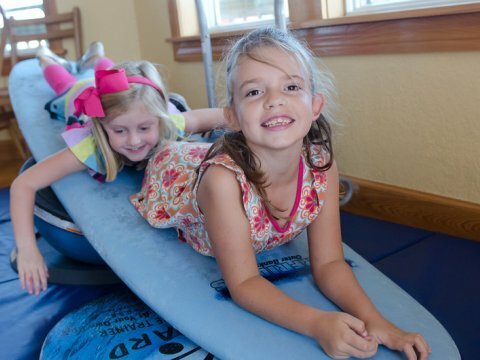 In December of 2012, Joy Lige and Meredith McCarthy, representing Surf Pediatrics and Medicine, approached the director of Children at Play, the Outer Banks Children’s Museum, with a proposal to sponsor an exhibit. The children’s museum’s volunteer board of directors was thrilled to have such a wonderful local business support its efforts to promote the health and well-being of young children. The Living Swell Exhibit reinforces the program’s philosophy that encourages and supports healthy eating, active living, and the development of good moral character. 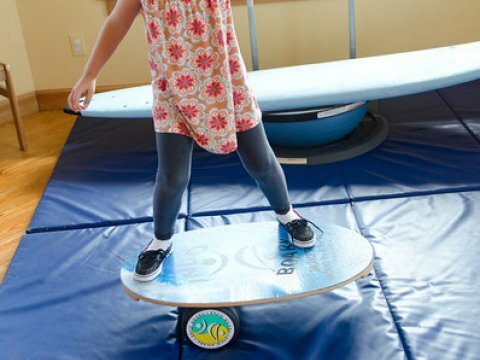 In the museum, the exhibit includes a surfing simulation area that is equipped with a surfboard that has a rounded bottom requiring children to paddle, jump and stand on stimulating the development of balance and strength. 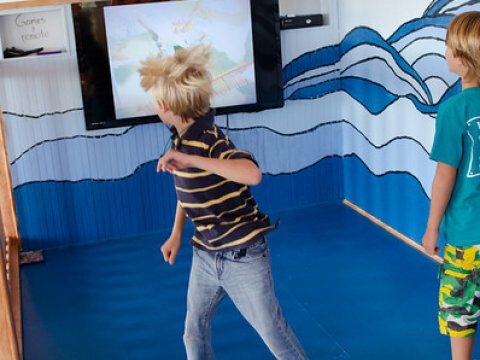 The virtual activity section of the exhibit consists of a Kinect video gaming system that requires various body movements and physical activity to control the game. One of the most exciting parts of the exhibit is the Living Swell Challenge. 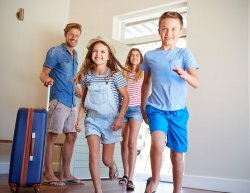 This challenge is a checklist of activities that include adventures like hiking in the woods, or reading with your parents and volunteering in the community. Once children complete the challenge, they submit their checklist to the museum and receive a free Living Swell beach towel. The challenge portion of the exhibit is a great motivator for children and parents to get outside, get active and be a positive influence in our community. During the summer of 2013, Children at Play hosted the Living Swell Challenge Obstacle Course Run. This was a fun event where children raced through an obstacle course three times, trying each time to outdo their first score. Fifteen children participated and this marked the official opening of the Living Swell Exhibit. Surf Pediatrics and Medicine, the sponsor of the Living Swell exhibit, is pleased to announce the opening of their third office location in Kill Devil Hills. This new office will be extending the practice further integrating family medicine, providing a familiar atmosphere available for the entire family. Dr. Phillip Austin is currently accepting new patients and Dr. Jennifer Halloran will be joining this practice in January, 2014. 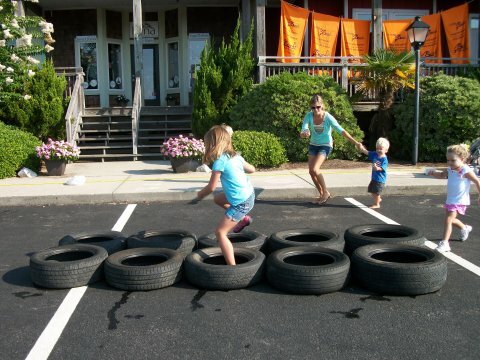 Children at Play, the Outer Banks Children’s Museum has been in operation since August 2010. In the past three years, the museum has established itself as an educational resource for families with young children. 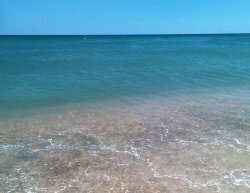 Exhibits feature local Outer Banks attractions such as charter and commercial fishing, lighthouses, theater, the Outer Banks Hospital and surfing! Programs such as Science Thursday, Music Fridays and Tuesdays together add additional early childhood education for children and their families. 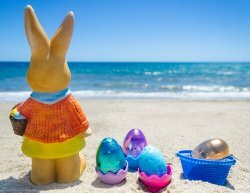 The mission of the Outer Banks Children’s Museum is to provide an environment developing young children’s level of physical fitness, health and creativity through hands-on learning activities that stimulate intellectual growth. The museum is located at 3810 North Croatan Highway, Kitty Hawk, NC 27949. Open Tuesdays through Saturdays from 10:00 am to 5:00 pm.